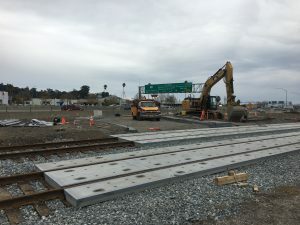 The SMART Larkspur Extension construction work on the Francisco Blvd. West realignment and Phase-1 of the Multi-Use Path (from Rice Street to Andersen Drive) continues to move forward with the bulk of the work at the new Rice Drive and Francisco Blvd West intersection and rail crossing. 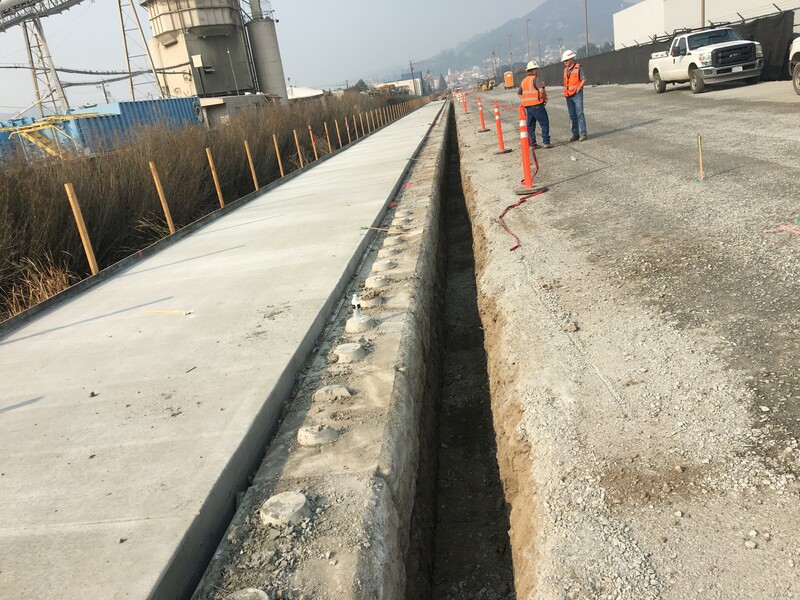 Underground drainage facilities and preliminary grading have been the focus on the Multi-Use path.